Simple to use and provides great results. Brilliant Work. Thank You. 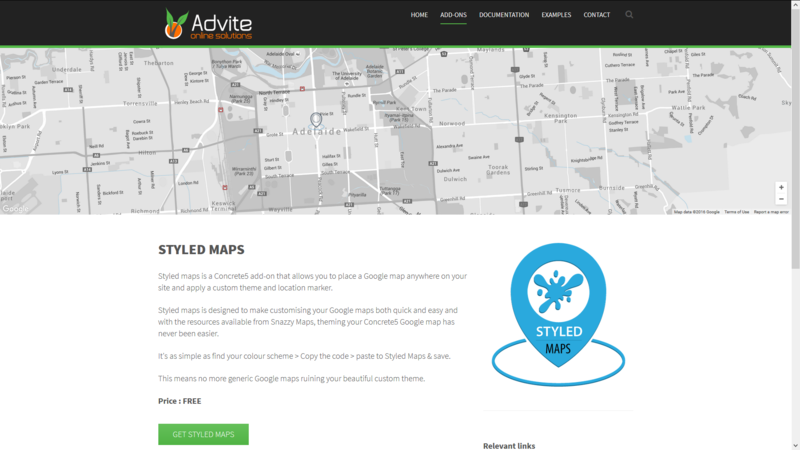 Styled maps allows you to place a Google map anywhere on your site and apply a custom theme, location marker and popup info window. From beginners to experienced users, Styled maps makes customising your Google maps both quick and easy. Use one of the built in standard themes or take total control and add an advanced / custom map style by utilising the great resources available at Snazzy Maps. Add your own custom map marker with optional popup info window for limitless design options. No more generic Google maps ruining your beautiful custom theme. As of June 22, 2016 Google have made changes to the Google Maps API. From this date forward all Google maps must contain an API key. See the 'Get a Google Maps API key' documentation on this page to find out how to obtain your own API key.